In our every-day life, sounds reach us from different directions and distances, above and below, left and right, front and back. 3D audio can be simulated through loudspeakers (two or more) and through headphones (binaural technique). Research in this area includes topics such as HRTF selection, individualization and adaptation; 3D audio algorithms; and applied 3D audio techniques/technologies. Current work focuses the design of healthcare soundscapes to enhance patient experience across acute and community settings. This considers the design and optimisation of auditory stimuli to provide better environments for patients sleep, rest and recovery and working environments for healthcare staff. After the emergence of digital technologies, hearing aids became very complex devices, with lots of different functionalities and levels of customisation. Unfortunately though not all these features are successfully calibrated and employed by the hearing aid users population. Research in this area includes topics such as VR and gamification applied to audiometric techniques, game applications for hearing impaired users, VR-based hearing training. Augmented Reality (AR) consists in adding an audio-visual digital layer on top of the world, changing the way we perceive it through our senses. The acoustic component of AR plays an essential role in creating an immersive experience for the user; in theory, with the help of 3D audio techniques we can blend real sounds with computer-generated ones so that the latter is indistinguishable from the first. 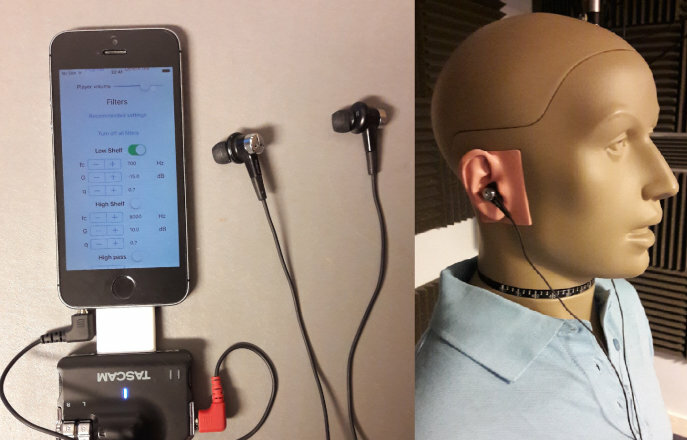 Current work focuses in developing audio systems for Acoustic AR and studying their impact in spatial perception and user experience. Visually impaired individuals interact with digital devices (e.g. smartphones) relying mainly on the auditory sense. Research in this area includes the development and evaluation of audio-based applications and techniques (e.g. Invisible Puzzle, Audio Tactile Maps), and the assessment of spatial hearing performances comparing visually impaired and sighted individuals. The Dyson School of Design Engineering, and a consortium of nine partners are working together on PLUGGY, a H2020 project which is aimed at promoting citizens' active involvement in Europe's rich cultural heritage. Over the project duration, PLUGGY is expected to launch an inventive social platform as well as a series of Augmented Reality, Geolocation, 3D Sonic and Gaming smartphone apps that will enable citizens across the world to shape and pass on both individual and collective cultural experiences, thereby enhancing the value of cultural heritage and contributing towards its enrichment.